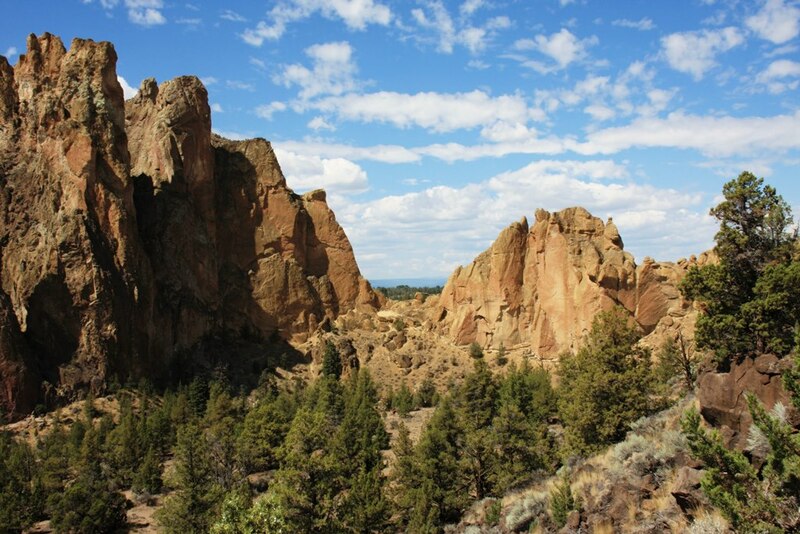 Oregon’s Smith Rock State Park is located just outside of Redmond. We have read about it several times, been told by others not to miss it, and even have seen it from the highway. So, we finally took a day to go check it out. The weather was perfect and the scenery is amazing. If you’ve ever wanted to climb a rock, this is the place to do it. 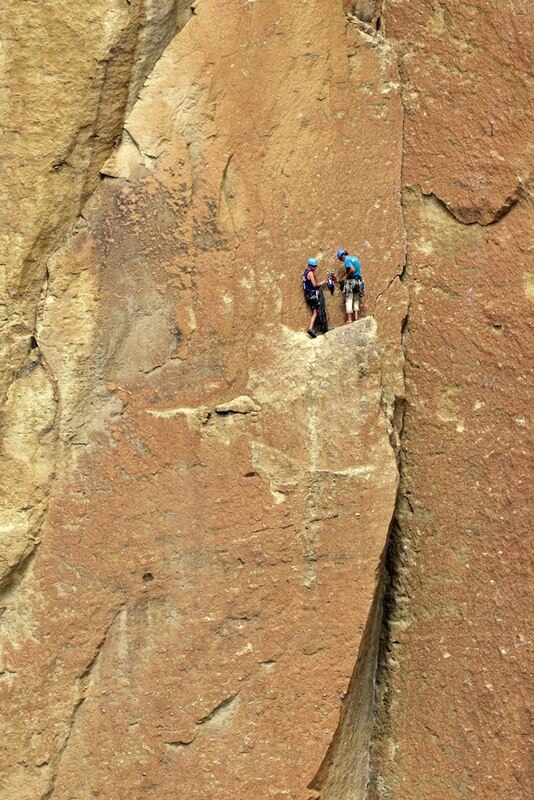 With it’s sheer volcanic ash cliffs, Smith Rock is world famous for thousands of climbing routes and hiking trails. That’s okay, we’ll just watch. 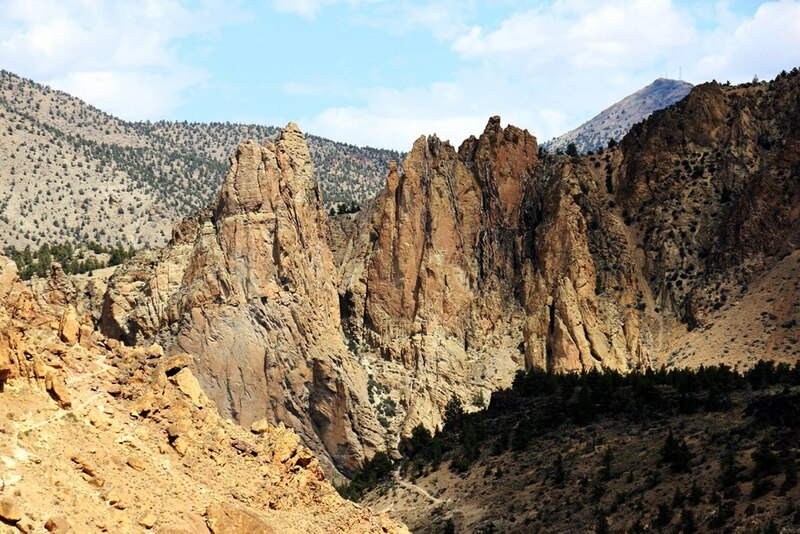 There is also the four-mile loop hike, Misery Ridge … maybe next time. 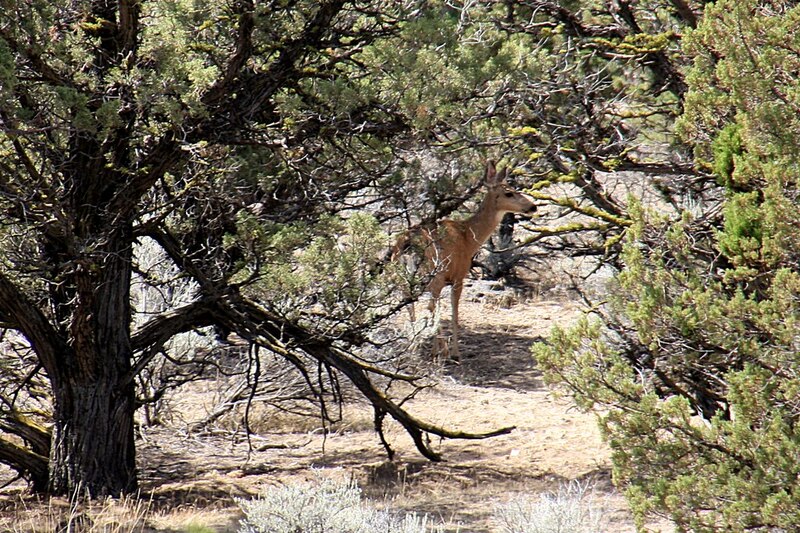 We did take a couple of easy hiking trails along the south rim of the Crooked River, saw large, soaring birds that could have been golden eagles, spotted a deer, and even got a picture of Spiderman. This entry was posted in Oregon, Scenic and tagged Motor Home, motorhome, Oregon, Photography, RV, Scenic, Travel, VW Bus. Bookmark the permalink. What makes one want to climb a huge rock? Not me! I wonder if I admire them or think they are nuts. Anyway, as usual, great pix and excellent narrative. Love the picture of Spiderman. Rock climbing for the view? Think not! The climbers are face to face with a huge rock while looking for the next ledge, hole or whatever to hold onto, put foot into or latch their hook thing into while hoping they don’t fall. Not me! 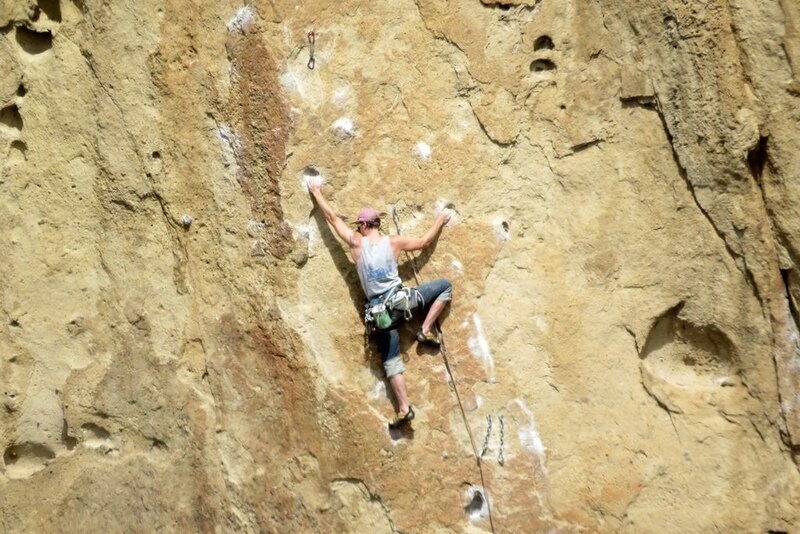 I wondered if the chalk they are leaving behind will one day be found to be detrimental to the rock face. Hope it’s an organic chalk. I also want to know which rock is “Smith”. We sure enjoy hearing from you guys in the comments! One day we will look back on here and enjoy hearing from you all over again! Shalom! And LOVE to all who visit here.